On May 3, Chinese Consul General Zhao Weiping met with Duane Cantrell, President and CEO of Kansas Bioscience Authority in Olathe, Kansas. Mr. Cantrell gave Consul General Zhao a briefing on the development of Kansas' bioscience industry and the Kansas Bioscience Park. 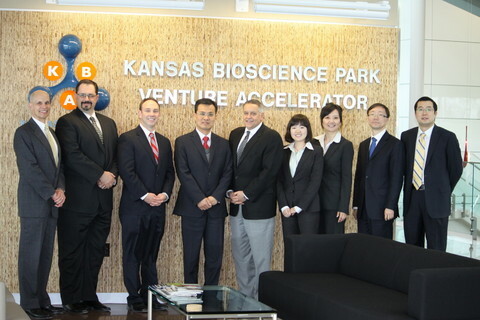 They also exchanged views on the cooperation in bioscience industry between China and Kansas.